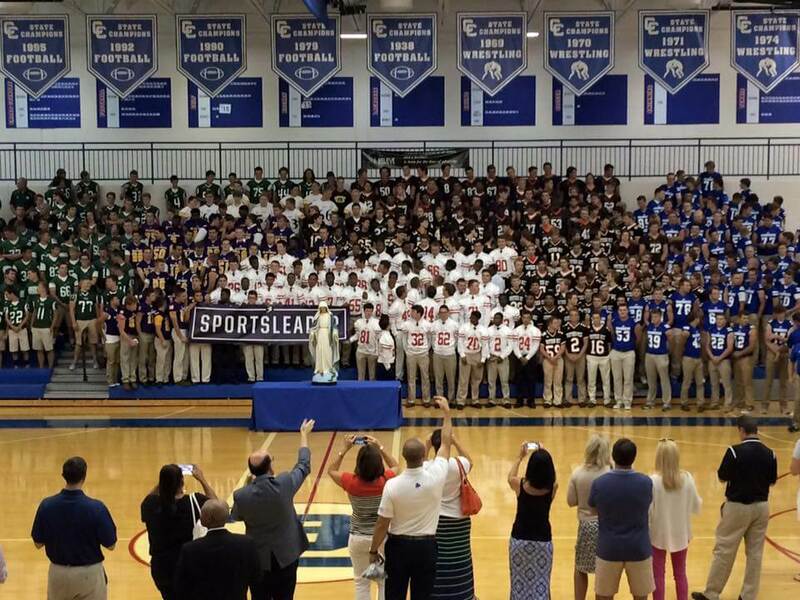 The Everest Collegiate football team joined several other teams from the Catholic League at Catholic Central High School in Novi, Michigan, on Sunday, August 23, for a special event to inaugurate the 2015-2016 season. The players all prayed a rosary together and received a blessing. 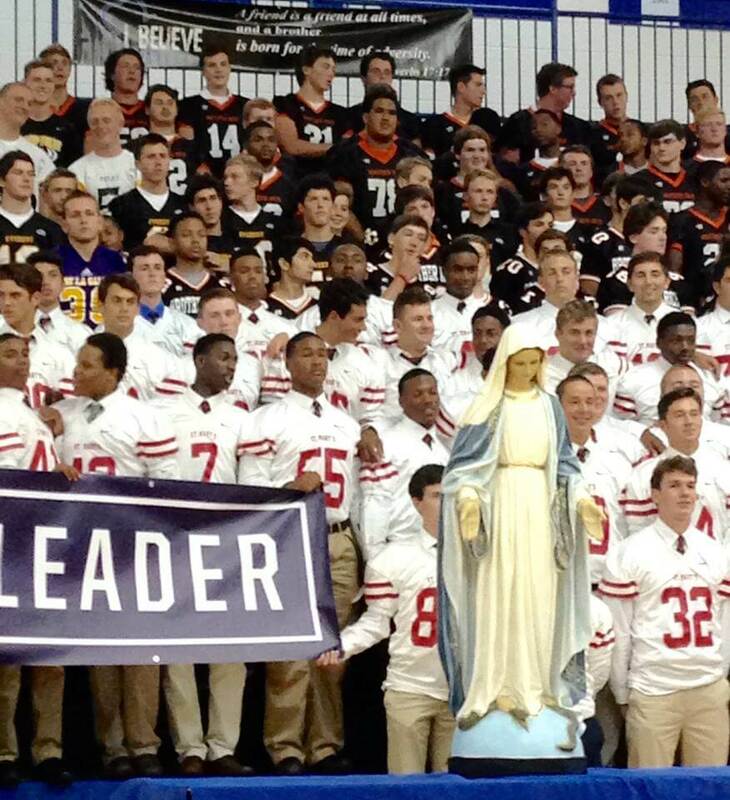 EC team members line up for a photo on the Catholic Central gymnasium bleachers behind the players from Orchard Lake St. Mary’s.